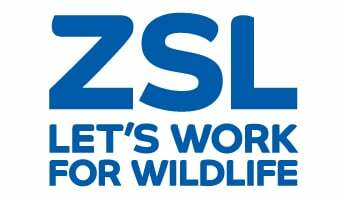 An expert team of marine conservationists will be scouring the Greater Thames Estuary by land, sea and air this week, as the Zoological Society of London (ZSL) conducts its fourth annual seal survey. Combining aerial surveys of the Essex and Kent coastlines, as well as sandbanks in the outer Thames Estuary, with more traditional boat and land-based studies, ZSL’s conservation scientists will be counting latest numbers of these charismatic marine mammals, as well as looking out for any emerging health trends. Data collected from this research will reveal any change in abundance of harbour seal populations and also highlight the ratio of harbour seals (Phoca vitulina) to the larger and more dominant grey seals (Halichoerus grypus), which increasingly compete with harbour seals for food and territory. Last year’s ZSL seal survey counted 451 harbour seals and 454 grey seals in the Thames Estuary. The 2016 edition will provide the latest update on these figures and also inform future conservation and management of seals in the region. This will be done through implementing the Greater Thames Seal Action Plan, providing scientific evidence during any planning applications that may impact seals, as well as generating comprehensive population data to inform future research in the region. Commenting on the annual survey, ZSL’s European Conservation Projects Manager Joanna Barker said: “This is the fourth year in a row that we’ve conducted a comprehensive survey of seal populations in the Thames, but from a conservation point of view it’s one of the most important surveys yet. “It’s a really interesting time to study seals in the UK. Firstly, grey seal numbers have rapidly increased over the last 15 years, especially along the east coast of England, which is good news for the species. We believe this has also led to a greater amount of competition between grey and harbour seals, however, both for food and for sites where they can ‘haul-out’ or leave the water. In addition, new behaviour of grey seals predating upon harbour seals has recently been observed in other European seal colonies. As the large intertidal sandbanks in the Thames are preferred harbour seal habitat, we are interested to see what impact increased competition could have for the species. The efforts of international conservation charity ZSL and its partners to protect Thames wildlife are boosted by the work of ‘citizen scientists’ – members of the public who volunteer their time to provide hands-on assistance with conservation projects or report marine mammal sightings via ZSL’s interactive map.